We couldn't think of a slogan. 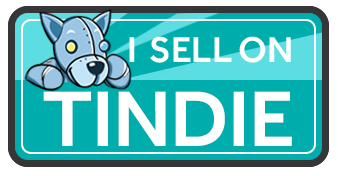 I'm now selling on Tindie! I've been asked a few times by readers about whether pre-made PCBs can be purchased ... frequently enough that replying with "there's no demand for it" is patently untrue. So, as an experiment in could-I-quit-my-job-and-design-kits-all-day I'm testing the water with my Simple EEPROM Programmer kit. My hosting service (Ariotek) has merged with hosting service Krystal, so they've migrated all my content over. This has generated a few hiccups - mostly regarding the address of my MySQL server, and so on. This has affected Wordpress blogs, my website frontpage, phpArcScan, and so on. Should be all fixed now. Some free GDF fonts now available! Need a bit more variety from your fixed-width bitmap fonts? Text embedding into autogenerated bitmaps looks a bit lacklustre? Have no fear! A few hundred fonts from !Zap are now converted for your printing pleasure. Archive 23.5 (October 2012) now added to database. [phpArcScan] A few bugfixes uploaded. [phpArcScan] Data for issues 23.2, 23.3, 23.4 now available. Actually, they've been available for ages. I just forgot to announce it here! Rasteriser and depth buffer implemented! Finally done some more work on my software 3D renderer - results of my first attempt at solid triangles and a depth buffer. Needs work, but looks good so far.